Superdry women’s Boxy Snorkle hooded SD-Windparka jacket. This jacket features a fleece lining, double layer zip fastening, fleece lined hood, ribbed jersey cuffs and a bungee cord at the waist. 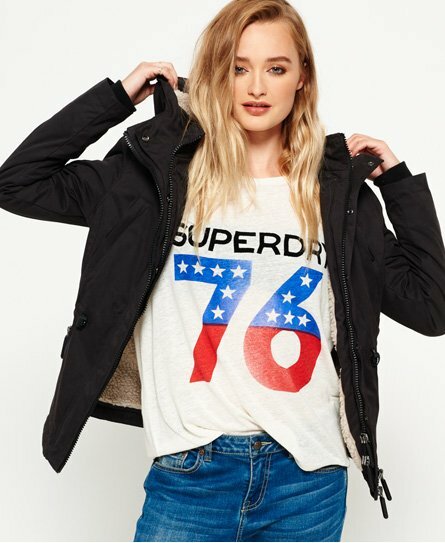 The jacket is finished with a Superdry logo badge on the sleeve and branded zip pulls.